← Some JFF Photos to Start off the Week! 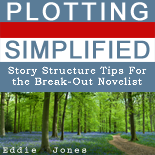 I read “Plotting Simplified.” I found it useful as a kind of “outline” for my WIP (did I do this; did I do that?) But I thought a more in depth discussion would be warranted, especially for someone who hadn’t read too many books on writing techniques. I haven’t read the other two though. Thanks for bringing them to my attention. The Buckham and Love book is much more detailed. Excellent actually, but a bit on the overwhelming side to me, who can get complicated with the details and subsequently lost and paralyzed by them. 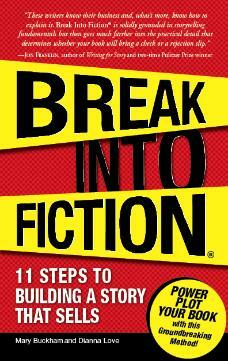 Still working my way through Nail Your Novel, and liking it so far. thanks for a great list of resources. I have 45 Master characters and Book in a Month by Victoria Lynn Schmidt, but a crazy thing happens to me when i read books about plotting – I get all antsy, like I should be working on my WIP instead of reading about writing books. I find the best thing for me to do when beginning a book is to make sure the conflict between my two main characters is rock solid. That way I don’t wind up flailing about halfway through the book. I am amazed by people who write hugs stories with several intersecting plots. Makes my head spin. At this point, Lynne, I’m amazed at getting the conflict between my main characters rock solid, lol. And I know what you mean about my head doing 360s on my cervical spine when it comes to all those intersecting plots. One thing I like about NAIL YOUR NOVEL is how the author considers that taking-time-to-learn-about-writing part of the novel-writing process. Sometimes I need someone else to give me the go-ahead, know what I mean? Thank you for sharing these reccomendations. I’m going to check them out ASAP. I’m glad you stopped by, Sarah. So nice to have you drop in. Hope you find the resources helpful. Let me know if you did! Joanna, thank you so much for recommending my book! Delighted it’s helping you. Especially as I’m now working on another… so if there are any points you’d like me to cover, I’d love to hear your thoughts. I will definitely keep that in mind, Roz. Thank you, and thanks for stopping in!